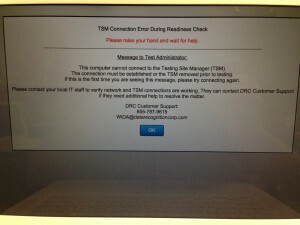 This is a brief article on how to log in. Keep in mind the code referenced near the end can only be put on up to 150 devices. Any more than that and kids might get kicked out of the test during test time. This is by DRC’s design (the company). 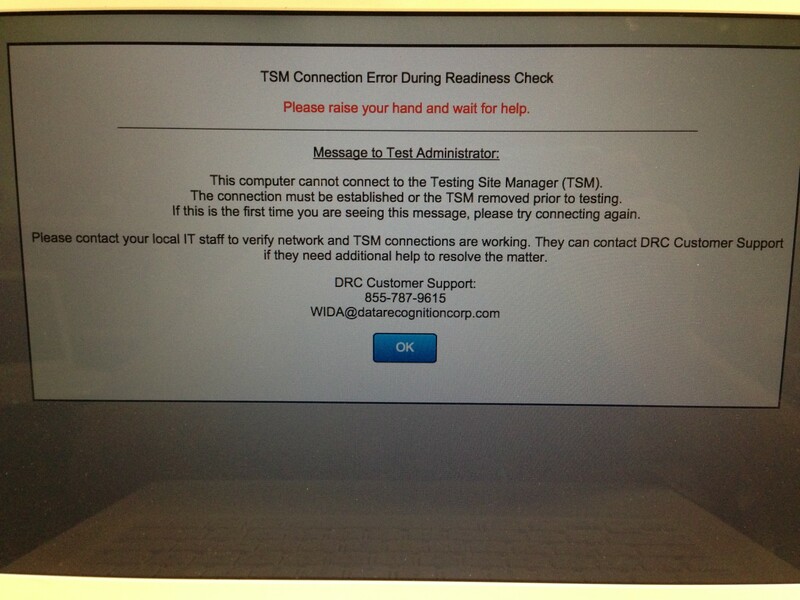 If after logging in you see an error like this (click to see it more clearly) you will need to contact DTS. This is likely an issue with the caching server.